We are so excited to be blog hopping with Clearsnap today! We have so many creative projects to share with you using Clearsnap‘s high quality Made in the USA ink pads and stamps and Walnut Hollow Wood Surfaces and Tools. Let us know what you think about our projects by leaving comments. See the whole list of bloggers at the end of my post! I took one look at the Basswood Carving Block and knew I wanted to use it as a pen holder for our Back To School Blog Hop with Clearsnap. I found some fall colored artificial flowers and some greet floral tape at Michaels for my flower pens. 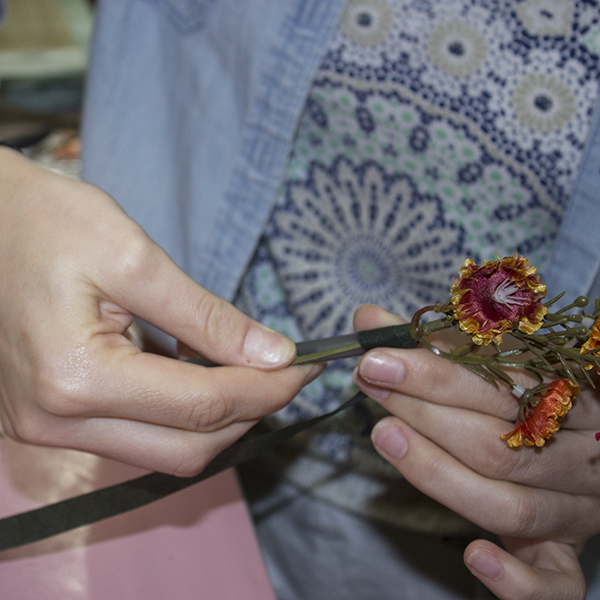 To assemble the pens I used a wire cutter to cut off the head of the flower leaving about 3 inches of stem. I held the stem flat against the side of a BIC pen and wrapped it in the floral tape. 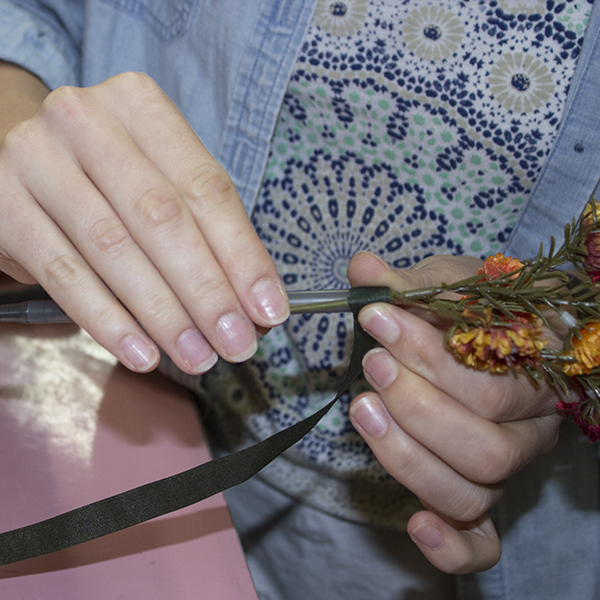 I just twisted the pen into the floral tape using both of my hands. To prepare my Basswood Carving Block I sanded the surface with a hand sander. 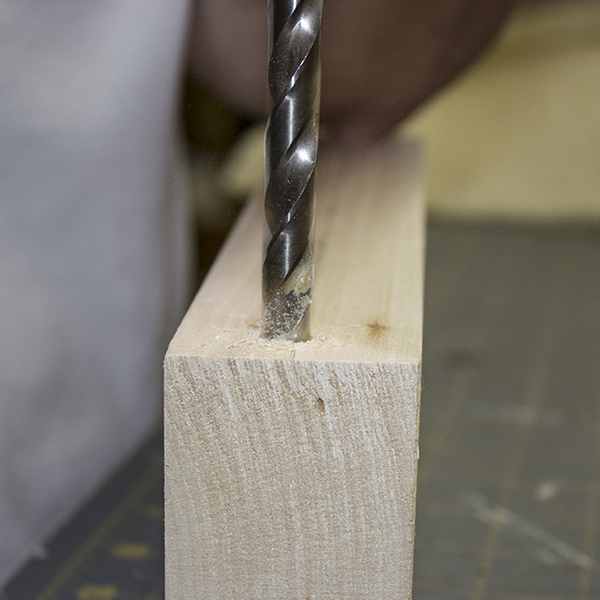 I marked off 6 evenly spaced spots to drill holes into the wood surface. Then I took a hand drill and created the holes. 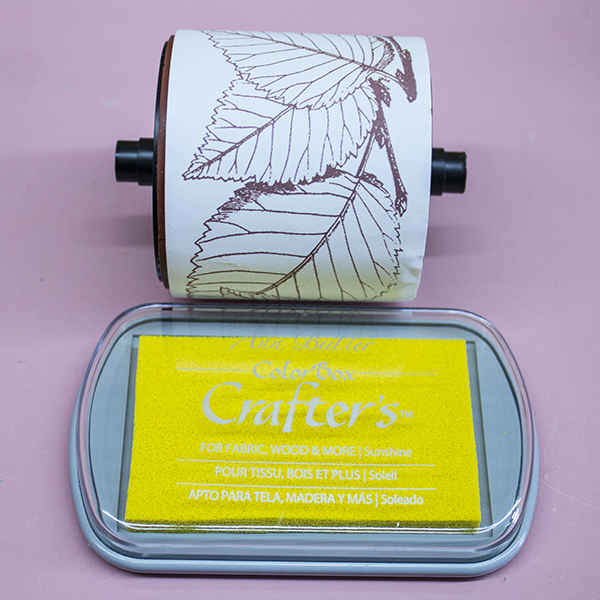 I chose a light Yellow Clearsnap Pigment Ink by Ann Butler and the Leafy Border Rollograph to use as a base for my wood burning. The pigment Ink is non toxic so it is safe to wood burn over. 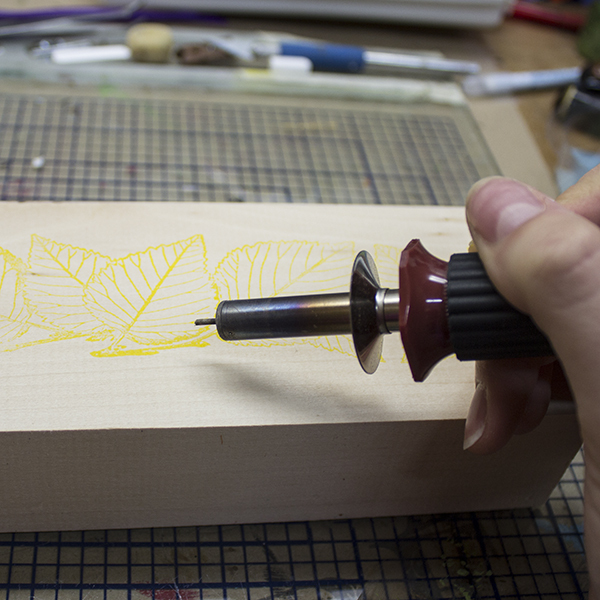 I rolled the ink and pattern over my Wood Carving Block so that I could trace over it with my Creative Versa Tool®. 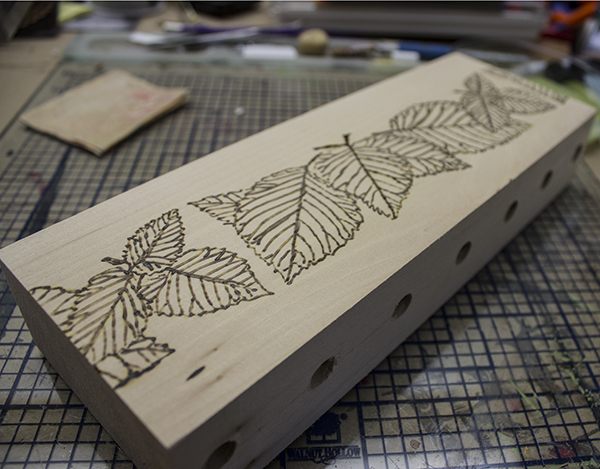 It is very easy to wood burn over a stamp. Just trace the lines while using the Wood Burner like a pencil. I used the Creative Versa Tool® on the hottest setting with the Mini Flow Point. I used the HotStamps Alphabet Set to Burn a teacher’s name into the block for some personalization. 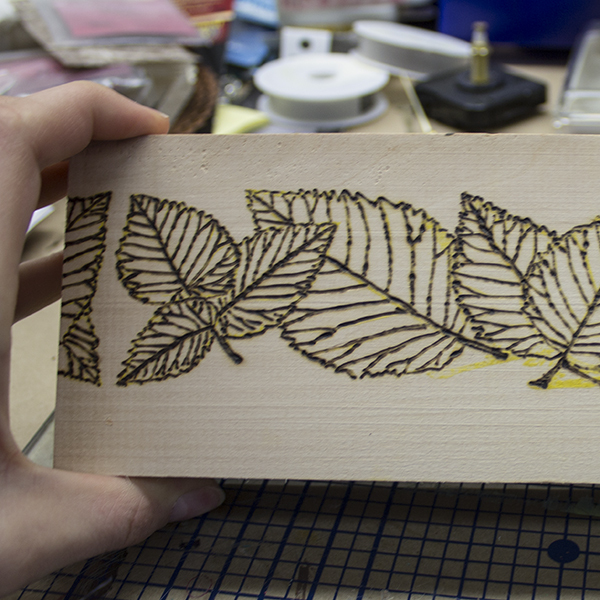 I sanded off the extra yellow ink that was showing through my wood burning. Once I was finished wood burning on the Carving Block, I Used English Oak Minwax Water-Based Wood Stain to add a warm hue to the wood piece. After The stain was completely dry I sanded my piece one more time. I used a Clearsnap Primary Petal Chalk Ink Petal Point and an Autumn Pastels Chalk Ink Petal Point to color in the wood burned leaves that I had created. 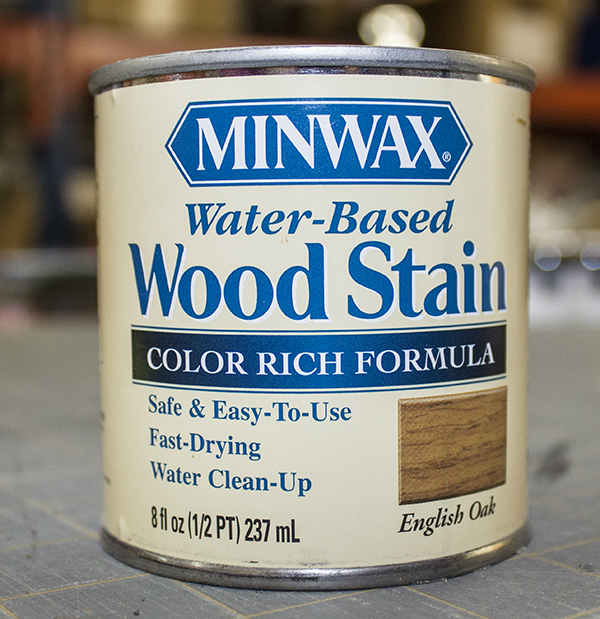 The inks are very vibrant and they go over the minwax stain very nicely. The high quality product was incredibly nice to use. 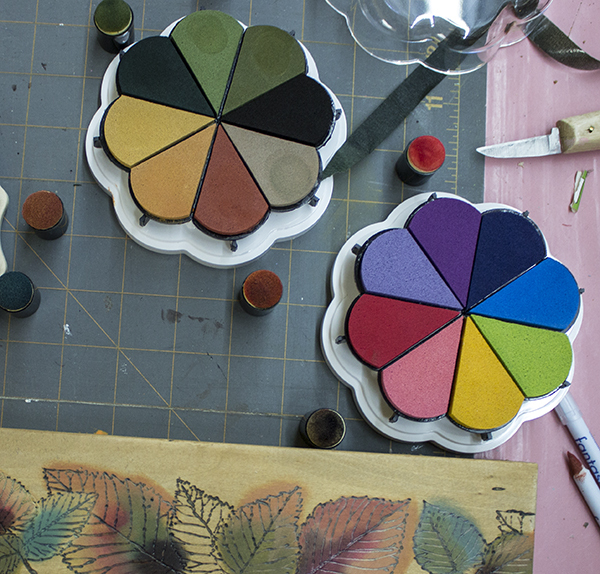 I used a sponge to blend the colors together in the leafy pattern. I blended the colors and feathered the edge of the inks using a stamp cleaning solution on a sponge. The chalky finish inks leave a beautiful matte finish. Once the ink was dry I set the pens up in their holes. I love the way the pens are disguised as flowers! This would make the perfect teacher gift. That way the teacher would always know who was borrowing a pen! Thanks for stopping by to see my Fall Pens and Pen Holder! I had a lot of fun working with Clearsnap’s ink pads and rollograph! Now go take a look at what Jennifer created! Sara Shirman <— You are here. Jennifer Priest <— Go here next! That would make a lovely gift. Like a garden for your desk. Wow, that is beautiful. what a great gift idea!! Great project, love the idea of wood burning over a stamp! You make this look easy. and I know it is not. Any teacher or educator would love to have this on their desk to brighten their day. The project itself is so versatile in nature and can be adapted for so many situations tailoring each pen holder to the recipient. Thank you for your inspiration. Wow… this turned out beautiful! This is wonderful! It would make an awesome gift for that special teacher. Or anyone. Love it. What a great idea. The flowers can be changed to fit the season or occasion. This is so cute!! Want one for my desk! 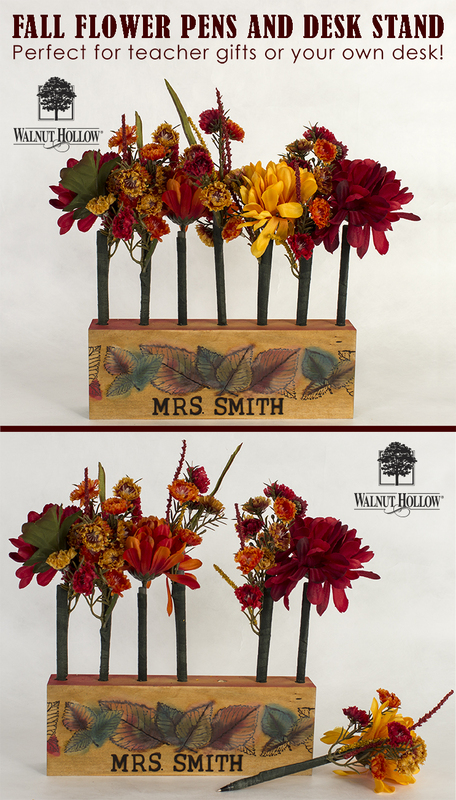 I have loved using Walnut Hollow products for many, many years. And so glad to see you combining with another favorite…Clearsnap. 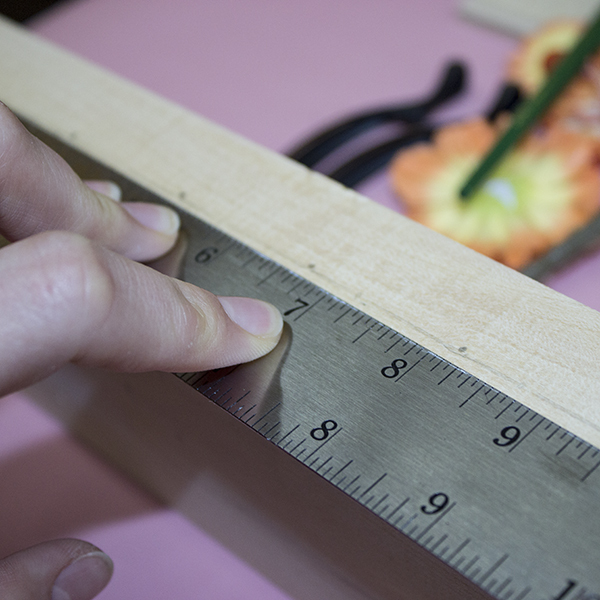 A piece of wood can be a little intimidating since it is more permanent than our usual paper project. So glad to read and see details on these manageable projects. Many thanks for great inspiration! Wow, this is amazing! I love the stamping and wood burning. Thanks for sharing. My gosh!!! this project is amazing and so beautiful! you’re a biggest artist! Great project! This would be a great seasonal item at the check out counter of a small business, especially if it was a crafting store! Additional ones could be made to reflect each season!